Spring is here, so let’s dig in to all the lemony treats! I’ve been tinkering with this lemon pound cake recipe for years, and I think it’s finally perfect. 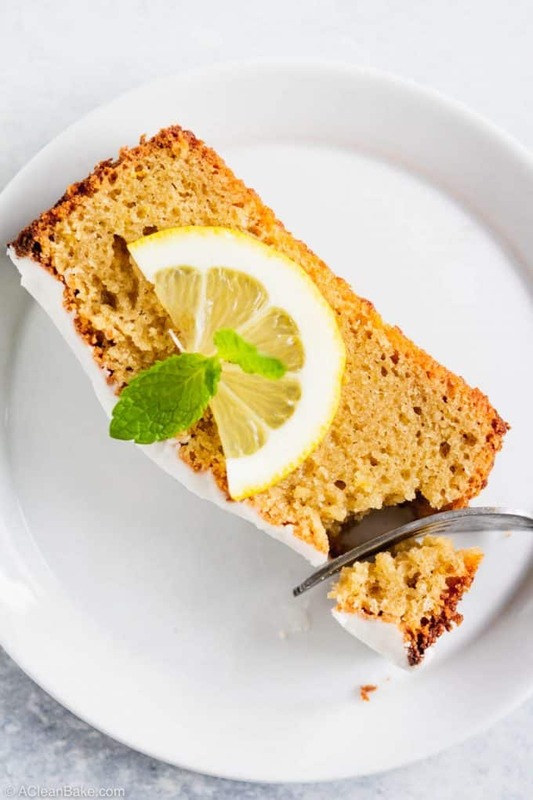 Sturdy and tight-crumbed, yet delicate, this gluten free and paleo lemon pound cake is simple to make and full of all natural lemon flavor! It’s perfect for Easter, or for brunch any time of year! This recipe was updated April 2019. I notoriously obsess over recipes. It took me 18 tries to get this cake right, about 25 versions until this one was perfect, and I lost count of the number of times I tweaked these cookies until they were finally exactly as I imagined them. But for some reason, this lemon pound cake has been my achilles heel. I’ve been working on it since 2014, struggling to create a grain free version of the beloved spring treat – struggling, that is, until now. As you can imagine, I’ve learned a lot since 2014. 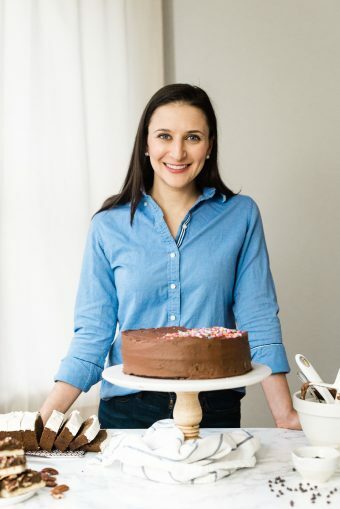 Making cakes over and over again teaches you more than you ever thought possible about gluten free and grain free baking, whether or not you want to learn. 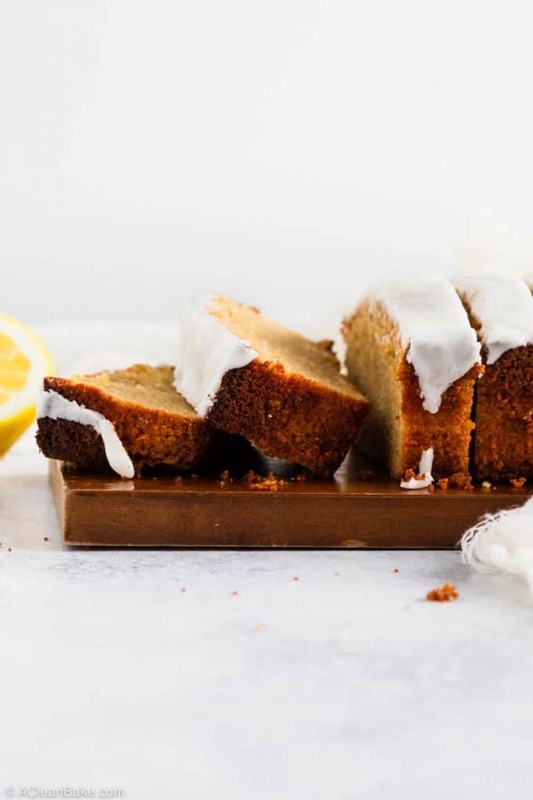 But all those mediocre cakes, and all those eureka moments, have brought this humble paleo and gluten free lemon pound cake (version 3.0) to you. The best part? The newest version is simpler to make, requires fewer ingredients, is far more foolproof, and is bursting with bright lemon flavor. Let’s back up a little bit, because a pound cake is a very unique and specific type of cake. Pound cake is so named because the original recipe went something like this: combine a pound of butter, sugar, all purpose flour, and eggs. That’s one pound each. That must have yielded one hearty slice. 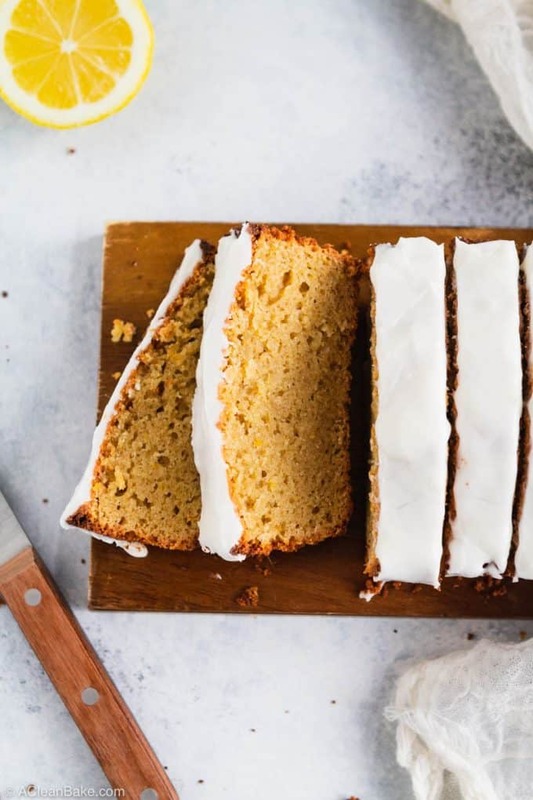 Since then, professional bakers and home cooks alike have tinkered with the proportions, used cake flour in place of all purpose flour, added leavening agents like baking soda and baking powder, and personalized their loaves with flavors like spices or lemon juice. As long as the batter yields an ultra-moist, dense loaf with a tight crumb, that slices like a hot knife through a stick of butter (because many of these loaves contain quite a bit of it), it’s a pound cake. So, now that almost no one is making it the original way, who’s to say what makes a pound cake a pound cake anymore? So, why not make it with almond flour? Like most of the cake recipes on this site, the batter starts with a flour mixture (almond flour and tapioca flour; I don’t like using coconut flour in cake recipes because it tends to make the cake a little too tough. Coconut flour is not a delicate ingredient! ), baking soda, and salt. That’s your dry mixture; can you believe how simple this is? You will quickly whisk the dry ingredients together in a large bowl and set them aside. And yes, you do need a large bowl for the dry ingredients because this is the bowl you’re going to use to assemble the cake batter. Coconut milk for richness and moisture (it’s worth noting that, though many pound cake recipes use unsalted butter or sour cream for richness, this recipe is completely dairy free). Make sure you’re using the full fat stuff that comes in a can. 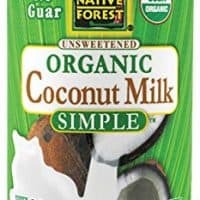 Avoid “lite” coconut milk or the kind that comes in a carton, since both will make your batter too runny. Since coconut milk contains so much moisture-imparting fat, you don’t need coconut oil or any other additional fats for this cake. You’ll mix together the wet ingredients, them pour them into the dry mixture and combine before pouring the batter into the loaf cake pan. Then, bake! And that’s it. I told you I had drastically simplified this recipe. Although this cake is fine on its own, there’s nothing like a silky glaze to finish a loaf cake. This simple glaze is made from confectioner’s sugar mixed with fresh lemon juice. Yes, confectioner’s sugar (aka powdered sugar; they’re the same thing) is a type of cane sugar, and I know that while many of you allow it in extreme moderation, some of you must avoid cane sugar at all costs. Over the course of many years, I’ve tried quite a few different ways to make a paleo-friendly glaze and nothing has the same consistency as a glaze made from powdered sugar. However, if you need a sugar free option, you can use 1 cup powdered monk fruit (or stevia) + 2-3 tablespoons tapioca flour as the base. The amount of lemon juice you’ll need will vary with the brand of powdered monk fruit you choose (Lakanto makes one, and I believe Swerve does too). You can also feel free to skip the glaze altogether, or use whipped cream to top your cake instead. 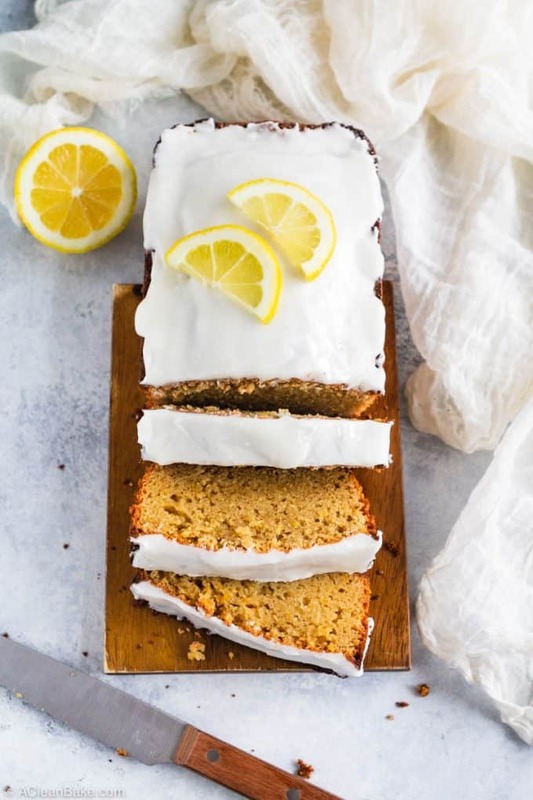 One other suggestion: if dairy is not an issue and you’d like to serve this like more of a traditional lemon cake, you can skip the glaze and top the loaf with cream cheese frosting instead, which is easier to make sugar free, since the frosting relies more on the cream cheese for texture, rather than the sweetener. In this case, you can find any cream cheese frosting on the internet, and substitute powdered monk fruit or stevia for the powdered (cane) sugar called for in the recipe. The other ingredients should be butter, cream cheese, and vanilla extract – that’s pretty much it. Whichever glaze or frosting you decide to use, make sure your cake is completely cool before you add it. That means removing the loaf to cool on a wire rack for a half hour to an hour until it has cooled all the way through. Jumping the gun by glazing (or frosting) before the cake is completely cool will result in runny glaze, most of which will probably end up on the counter, rather than on the loaf, where you want it! 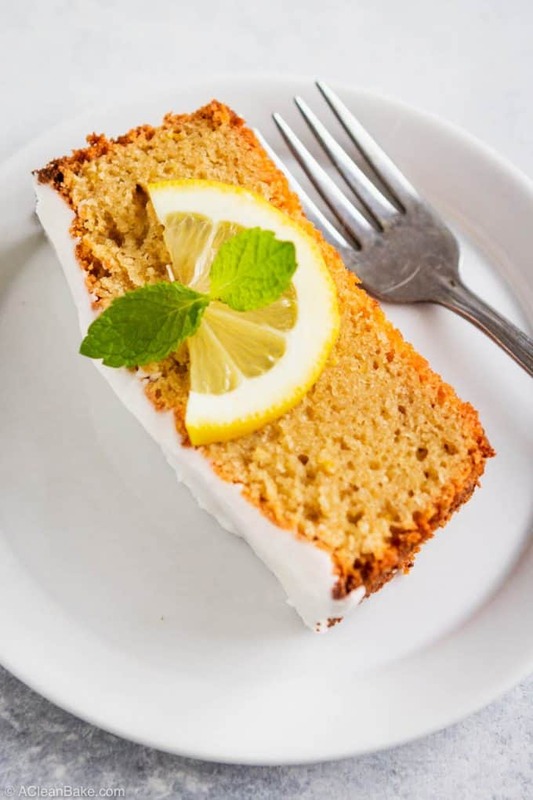 To make the best lemon pound cake you can, be sure to read through all these tips (as well as the recipe in full) before you start baking! If you have any questions that I haven’t answered here, please feel free to leave a comment below the post! What kind of equipment do you need to make this cake? All you really need is two large bowls, a couple of spoons, and a loaf pan. Oh, and an oven. If you’d like, you can use your hand mixer – but keep it at low speed and be careful not to over-mix. Over-mixing will incorporate too much air into the batter, that will cause the loaf to over-rise during baking and then collapse as it cools. If this happens, just add more glaze on top of the cake to cover it up. I prefer mixing this batter with a fork or spoon over using the electric mixer, because stirring by hand makes it easier to avoid over-mixing in the first place. Likewise, it’s not really worth breaking out your stand mixer for this recipe. It’s overkill for such a simple cake batter; you’ll risk over-mixing and it’s no fun to clean that beater, so don’t do it if you don’t have to. What size loaf pan should you use? Remember that loaf pans come in two sizes: 8.5″ and 10″. This lemon pound cake recipe is intended to be baked in an 8.5″ loaf pan. This recipe yields a loaf that is a bit short, even in the smaller loaf pan (you won’t have to worry about it overflowing out of the pan! ), so it really won’t work well in a 10″ loaf pan. If you don’t have the right size pan, try baking the batter in cupcake tins or mini bundt pans instead (note that I would not recommend using a full size bundt cake pan). Little individual lemon pound cakes would be adorable for brunch! Can you substitute coconut sugar for maple sugar? I know that maple sugar is expensive, so I try to use it sparingly. But there is no substitute when a recipe needs a granulated sweetener with a mild color and flavor. Unfortunately, in this recipe, I would not recommend using coconut sugar in place of the maple sugar. Coconut sugar will change the flavor (and color) of the cake too much, and will drown out the lemony flavor of the bread. You should also avoid using maple syrup or raw honey, which will contribute too much liquid to the batter. It’s best to stick with maple sugar, as the recipe calls for. Can you use arrowroot flour in place of tapioca flour? You can! It will change the texture of the finished bread verrrrry slightly. Normally, I like to use arrowroot flour in cakes, because it gives the cake a lighter, airier texture. Cakes made with tapioca starch tends to be more dense. But, in this case, that’s exactly what we want! The difference won’t be significant, though, so go ahead and use whichever flour you have handy. What if it’s not lemony enough? The batter contains both lemon juice and lemon zest in order to maximize the lemon flavor of the loaf, without resorting to extracts. However, if you want your loaf to have an even stronger lemon flavor, try adding 1/4 teaspoon of good quality lemon extract to the batter. Try to find one that is made from lemon oil and alcohol (often labeled Pure Lemon Extract), rather than “natural” lemon flavors (which are probably not very natural). I like this one. 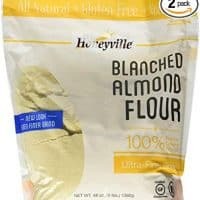 If you’re here, then I assume I don’t need to do the hard sell on why almond flour beats all purpose flour, handily, on health, flavor (you’d never know it’s there), and satisfaction (of knowing you just turned almonds into a baked good! I never stop enjoying that feeling of having performed sorcery.). Spring is here, so let's dig in to all the lemony treats! I've been tinkering with this lemon pound cake recipe for years, and I think it's finally perfect. 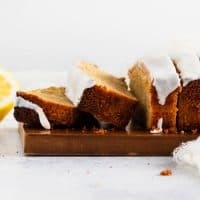 Sturdy and tight-crumbed, yet delicate, this gluten free and paleo lemon pound cake is simple to make and full of all natural lemon flavor! It's perfect for Easter, or for brunch any time of year! Lightly grease or spray an 8.5" loaf pa (or line with parchment paper) and set aside. In a large mixing bowl, whisk together the almond flour, maple sugar, tapioca flour, baking soda, and salt, and set aside. In a medium bowl, whisk the eggs, then whisk in lemon zest, 2 tablespoons of lemon juice, coconut milk. Pour the wet (eggs, etc.) mixture into the try mixture and stir until just combined. Taste and stir in 1/4 - 1/2 teaspoon pure lemon extract, if desired. Bake for 50-60 minutes, until a tester inserted into the center of the cake comes out mostly clean (a few crumbs are ok). Cool in the pan for 10-15 minutes before turning out onto a wire rack to cool completely. When the cake is completely cool, make the glaze by whisking together the confectioner's sugar and the remaining 1 tablespoon plus 1 teaspoon of lemon juice until smooth. Pour over the cooled pound cake and use an offset spatula to gently spread the glaze to cove the loaf. Allow the glaze to set for about 30-60 minutes at room temperature before slicing and serving. 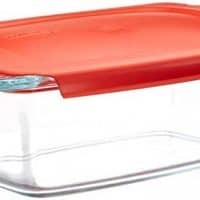 Store leftovers in an airtight container at room temperature for up to 5 days or in the freezer (unfrosted) for up to 3 months. If you’d like the original version of this recipe, you can find it here. UGH YUMM I WANT THIS IN MY MOUTH RIGHT NOW. There is no more elegant way to express my feelings about this luscious looking cake. The memory of your doughnuts are making me want to make this right now!! Your mastery of the gluten-free crumb is impeccable. Ahhhh you goddess!! I think that was the PERFECT amount of elegance!! Oh my gosh, now I can never feed you anything again for fear that it will never live up to the doughnuts! Woah coconut flour, interesting! I’ve never used it! It’s crazy! It isn’t like any other flour. Let me know if you play around with it, what you think! Wow – this looks insane. I am a total rookie when it comes to grain-free, gluten-free, and paleo, but this looks pretty fool-proof. I am now going to go look for coconut flour! I’ll get on those tacos ASAP!! I love improving older recipes…. it’s so much like life, eh? Getting better, learning, evolving?! And this cake is fabulous, Nora! Just look at that crumb! Love, love love the ingredients, especially that coconut and almond flour! I’ve not baked with coconut flour, but I think you may just have pushed me over the edge with this recipe! You’re tempting me Nora!! Thanks, Traci! Coconut flour is unlike any other baking ingredient. It works in mysterious ways – so absorbent! If you play around with it, I will look forward to seeing what you make with it! I can see why this went so fast. It looks absolutely divine and I am with you. . .I prefer a nice thick coat of frosting to crown the top of my lemon loaf as well. Btw. . .the lemon loaf is the hubby’s personal favorite treat from Starbucks. I love that I can know offer him a healthier alternative. This looks amazing. So fantastic. If it tastes half as good as it looks, I’m sold. Alas, I am currently between homes so baking is a bit tricky. But I am saving this for later, because I love lemon, and sometimes my go-to lemon poppyseed muffins just are not enough. I hope you like these, Deserae! Hi Sabrina! Unfortunately, no, you won’t be able to replace the monk fruit sweetener with maple syrup. Monk fruit sweetener is granulated, so the maple syrup would throw off the moisture content of the recipe. You can probably sub any granulated sweetener you prefer, though you may have to adjust the proportion. For example, use more than is called for if you’re using coconut sugar, since it is less sweet by volume than monk fruit sweetener. If you have granulated stevia available, that would be a 1:1 replacement. Good luck! What does the applesauce does in this pound cake? 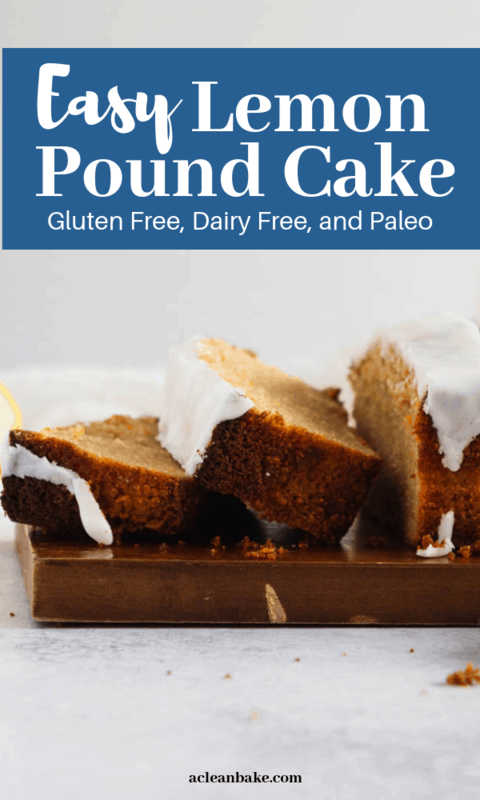 I bake vegan, and I would love to do this pound cake vegan. I normally sub eggs with applesauce. How can I sub the eggs in this recipe? Hi Vivian! The applesauce provides moisture and sweetness (and also, incidentally, some binding). To be honest, I’ve never tried this recipe with the eggs replaced by applesauce. I think another reader has, but I’m not certain how it turned out. I have, however, had success replacing the eggs with flax eggs, though you’ll have to increase the baking time substantially (probably AT LEAST an extra 20 minutes, possibly more) and the end result is a little more delicate and spongier. It’s not a true pound cake consistency – but still enjoyable! Mine fell apart, too, and I didn’t do anything differently. Even though it broke in half and had a few other crumbles, I put it in a freezer bag and and stuck it in the freezer. I’m hoping that helps somehow! Hi, Did you use chicken eggs or flax eggs for this? Hi! This cake looks delicious. I’m planning on preparing it for the Easter. Can I replace stevia with ksylitol? Starbucks version of this was always my favorite treat. But now I can enjoy it, guilt-free! Can you post the link for the Natvia sweetener you use. I can’t find it in any of the stores in my area. Also is there a reason you use this brand? I can’t wait to try this recipe. Hi Natasha! Natvia has become very hard to find in the US (It’s an Australian company), so I would suggest using Lakanto Monk Fruit Sweetener instead: http://www.lakanto.com?aff=32 (you can also find it on Amazon: http://amzn.to/2jDWBXm). Just made this and it’s incredible! Mine fell apart too! I baked it for 30 mins – it was starting to brown around the edges but wasn’t golden brown on top.l yet. and then I put the foil on top and baked for 35 more mins. The edges were super dark and I was afraid the whole thing would burn so I took it out and let it cool. The edges were much more cooked than the center and was crumbly. Michelle, did you use real eggs or egg replacer? Oh dear! I’m so sorry to hear that it bubbled over. Are you at high altitude by chance? Well either way, great adaptation – I’m glad you were still able to enjoy it! Can I replace the apple sauce with more oil and sugar? I wouldn’t recommend it, but I am in the process of completely reformulating this recipe so stay tuned for an applesauce-free version! Very moist my husband was loving it !! Could hardly get it cooled off .’highly recommend trying this if you haven’t already . Yep, that can happen depending on your oven. Sorry to hear! Luckily, I’ve updated the recipe and the burning shouldn’t be an issue with the new recipe!